Palate: Round, fruity and rich. Enjoy ever-changin flavors of vanilla, spiced fruits, and nuts. A full, long, and velvety finish. 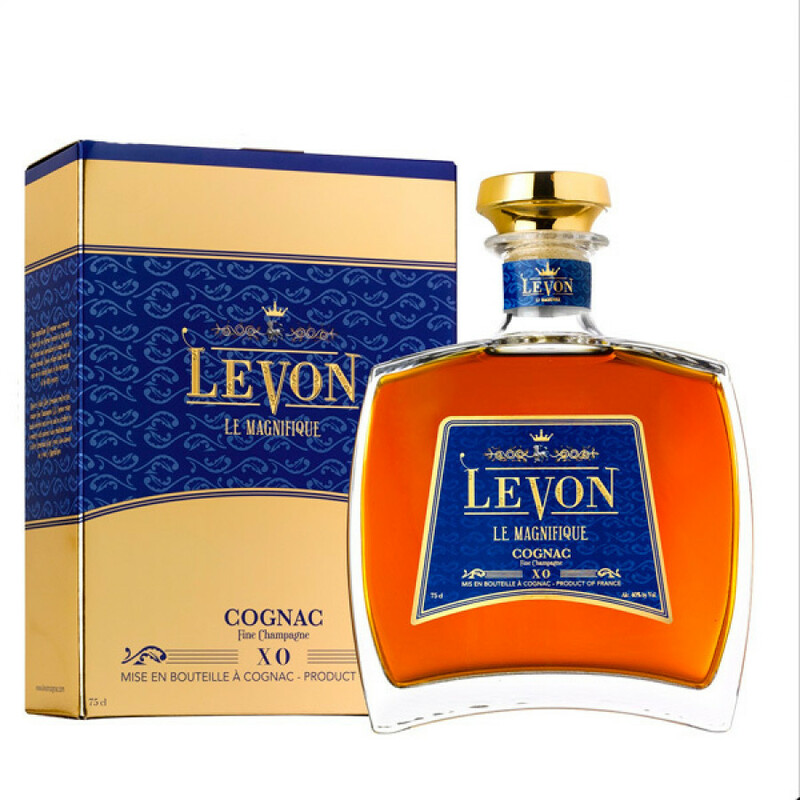 The Levon Le Magnifique XO Cognac is a blend of Fine Champagne eaux-de-vie, meaning that it contains no less than 50% from the premier Cru, Grande Champagne. The rest of the blend is from Petite Champagne. Together these make up the finest growth areas in the whole Cognac region. This is a truly sublime XO Cognac. It's the combination of hundreds of carefully selected components. This has resulted in a wonderfully complex, full-bodied, sophisticated Coganc that skilfully combines old-school tradition with a contemporary twist. It's deservedly a medal winner, and one that will appeal as much to the traditional connoiseur as it does to thhose who choose to defy the norm and drink their Cognac, 'their way'. One aspect that truly makes this XO a great choice is the small batch production ethos of Levon Cognac. This ensures that every single bottle produced has had the hands on touch, and certainly won't have been sitting in a warehouse for months or years before it reaches its final destination. For those who starting to realize that artisan produced Cognacs really can be superior, this is a great Cognac to discover.